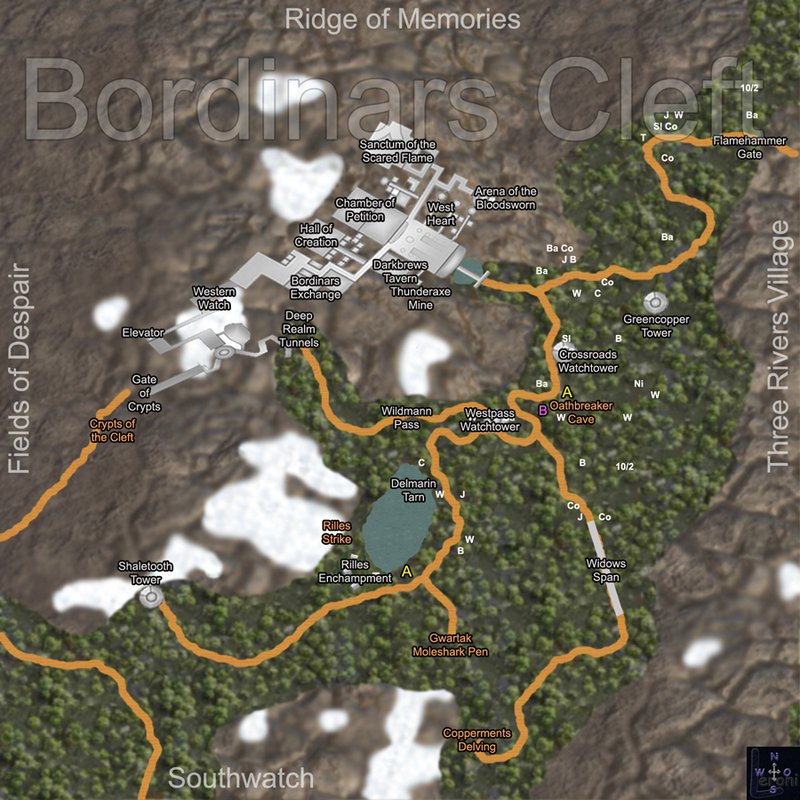 Carved into the seemingly impenetrable granite surfaces of the Widows Veil Peak Mountains you will find the massive fortress of the dwarves known as Bordinar's Cleft. 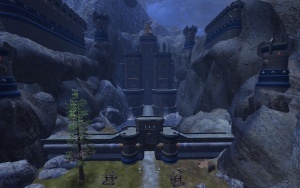 These over-sized catacombs have housed generations of dwarven clans united under the banner of King Flamehammer. Along with the areas only indoor coliseum exists the continent's largest brewery which exports an assortment of ales and stouts as far east as Halgarad where the Jarl of the Highlands has been known to drink an entire keg in under a fortnight. 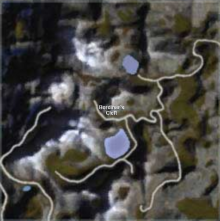 A complex and somewhat complicated system of tunnels and mines connects vast stretches of underground territory that allows access to several locations within the Beranid Downs and the Northern Plains. The dwarves are constantly at work; either mining ore or smithing the highest quality implements for crafting and war. There are whispers in the halls that the echoes of digging and demolition heard late into the evening come not from the Dwarven miners, but from the Gwartak kobolds that are searching for an ancient lost artefact. The rabidly hostile relationship between dwarves and kobolds has been a constant strain on the local guards who seem to always be looking for fresh recruits. The position of Bordinar's Cleft relative to the invading undead armies has stretched the clans so thin that they have begun to ask for assistance from the local human and Halfling communities. Dwarven adventurers begin their journey up the mountain from Bordinar's Cleft at the small mining hub of Shaletooth Tower. Here you will cut your teeth helping the foremen of the local mines clear out the array of vermin and assist the guard with the kobold threat as you work your way to the great city of Bordinar's Cleft. This page was last modified on 1 June 2012, at 10:35.